Set up a limit and get an instant alert with the Trak N Tell app on your smart phone every time your car goes above that limit. Get real time updates on every movement of your car on your phone. With the optional panic button installed, your family just needs to give a silent press to send an immediate alert on your smart phone, giving you the current location of your family & car. Get your car serviced on time or plan a long trip without worries by checking the health of your engine with just a tap. The immobilizer on your free app brings your car to a standstill. 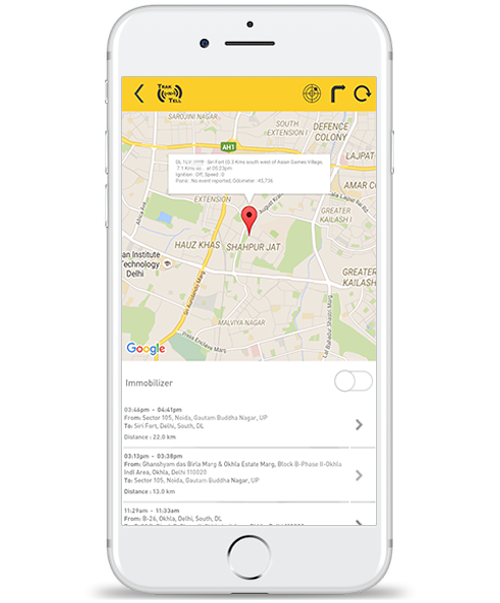 With the Trak N Tell app, you can show your car’s current location to the police and recover your car easily. Intelli7 Smart car handles panic with its impact alert calling feature, which automatically makes a call to your phone after feeling an impact. Forgot where you parked? With these giant parking lots, it’s nearly impossible to remember where you parked. Fear not, Intelli7 will help you find your car. Create a geo fence (virtual boundary) around the place where you park you vehicle at home or work. 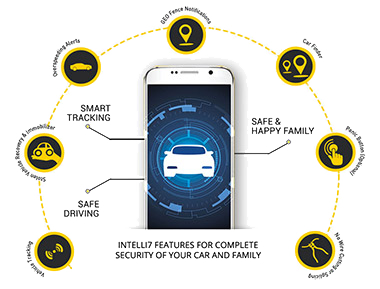 If your car is moved out of the geo fence, Intelli7 will alert you. 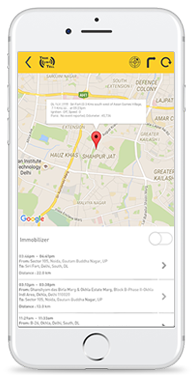 you monitor it through the app from wherever you are. *Trakpod: Plug-n-Play device. Compatible with premium brands. Stay updated with all our important news and events. © 2009-2017 Trak N Tell is a registered trademark of Bits N Bytes Soft Private Limited. All rights reserved.